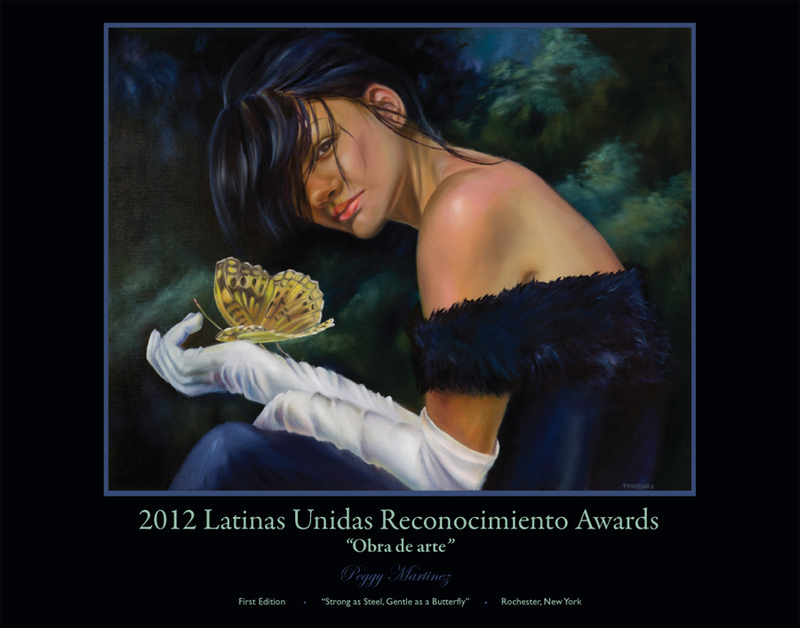 As a previous Board Member of the Latinas Unidas, I was more than happy to create a painting where posters could be created to conmmerate the 2012 Reconocimiento Awards. The Reconocimiento Awards is a luncheon, whereby latinas are recognized here in Rochester, New York. I had the blessing of chairing this event 2008 and I have to say it was a work of love! 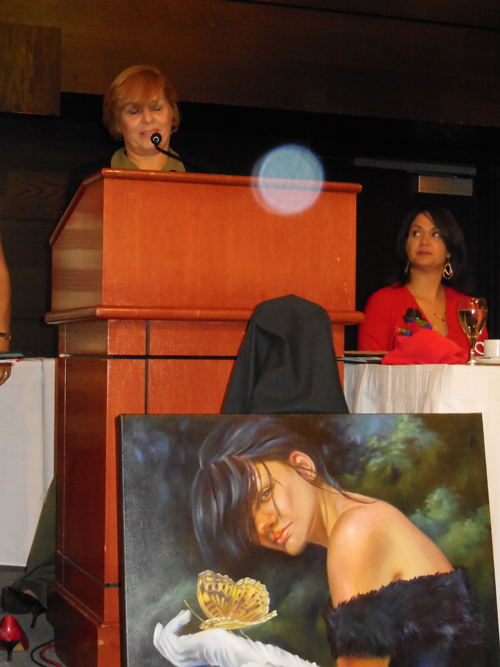 The theme for the luncheon was “Women as work of art”, what a perfect fit, huh? The first challenge was zoning down what the perfect image that would convey this 6 word statement. As we exchanged ideas and suggestions, it became more difficult. At this point I had to seek further inspiration from a latina artist. Who better than Frida Kahlo! As I researched and learn more about the complexity and painful life of this talented mexican artist, my inspiration grew. The Latina Women Scholarship Fund emerged for the need to support adult Latinas with the desire to pursue educational initiatives that do not receive funding from traditional sources, particularly women ages 25 and older, who are seeking additional training to develop skills required for job advancement. Our goal is to ensure that the lives of Latinas in our community will be touched and changed. We wish to create an environment in which Latinas have the tools to overcome social and economic barriers while realizing their full potential. The Endowment started in 2001 with seed money from State Farm and Kodak, with a generous donation of $5,000., from each company. Currently managed by the Women’s Foundation of Genesee Valley now proudly stands at $97,000. We have hope to reach six figures by April 2013. Since 2002, the Endowment has helped make a difference in the lives of 8 latinas and counting. Frida Kahlo de Rivera (July 6, 1907 – July 13, 1954; Magdalena Carmen Frieda Kahlo y Calderón) was a Mexican painter, born in Coyoacán. Perhaps best known for her self-portraits, Kahlo’s work is remembered for its “pain and passion”, and its intense, vibrant colors. Her work has been celebrated in Mexico, as an emblematic of national and indigenous tradition, and by feminists for its uncompromising depiction of the female experience and form. Her work has also been described as “surrealist”, and in 1938 one surrealist described Kahlo herself as a “ribbon around a bomb”. At the age of 18, she was seriously injured in a bus accident. She spent over a year in bed recovering from fractures to her spine, collarbone and ribs, a shattered pelvis, and shoulder and foot injuries. She endured more than 30 operations in her lifetime and during her convalescence she began to paint. At 22, she married the famous Mexican muralist Diego Rivera, 20 years her senior. Their stormy, passionate relationship survived infidelities, the pressures of careers, divorce, remarriage, Frida’s bi-sexual affairs, her poor health and her inability to have children. During her lifetime, Frida created some 200 paintings, drawings and sketches related to her experiences in life, physical and emotional pain and her turbulent relationship with Diego. In 1953, Frida Kahlo had her first and only solo exhibition in Mexico. At the time of her exhibition opening, Frida’s health was such that her Doctor told her that she was not to leave her bed. She insisted that she was going to attend her opening, and, in Frida style, she did. She arrived in an ambulance and her bed in the back of a truck. She was placed in her bed and four men carried her in to the waiting guests, where she entertained her guests with jokes, drinking and singing! The model in the painting is my niece, Chandel Correa, she has an absentee father and her mother passed away when she was 7 years old, yet despite the cards that life has dealt her, she is a strong young lady with a beautiful outlook and determined to succeed in life. Today is the day to start making a difference in the life a latina! 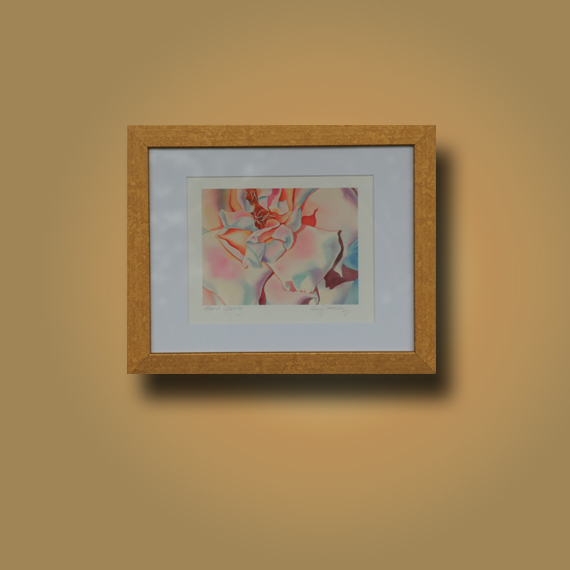 When you look at this painting think of how you can change, improve and further the career of a sister, co-worker or an employee, give the gift of believing in someone and the difference it can make in her life, her children or family. This was by far the most difficult painting to create, not only I do not specialize in portraits, my niece looks exactly like my sister and it was like looking at Margie, may she rejoice in heaven and be proud of her daughter. Here is the poster we created, it’s a stunning 11×14″ print, we have a limited supply of 20 posters available for purchase for $20, this includes shipping and handling (48 states in the US) through my Etsy shop, “La Galeria“. The proceeds will go directly to the Latina Unidas “Scholarship Fund”, we look forward to hearing from you! Today I decided to enter “Respect” in the Bold Brush art competition hosted online by Faso. “Respect” would LOVE to win this months entry and needs tons of votes! Will please vote for her? To vote for her, you must follow the link and vote on their website, if you show your “like” through Facebook it will not count towards the unique likes or votes. Please, please show your support by sharing this post and encouraging your friends, fans and followers to vote…a big hug and thank you from me!!! 2/13/14- Update, thanks and hugs to everyone that has shown your support and voted for my painting, as of today, “Respect” is in 1st place with 140 votes!!! The voting continues till the end of the month, so keep on sharing! Last year a fellow artist, asked if I would teach a class to artists about social media. At that time, I knew how to get around and since I’ve have stretched my boundaries, had my fair share of mistakes and learned quite a bit. Tada! Here it is! Here we will cover basics about the different social media platforms, how to get around or navigate and I’ll share how to increase exposure for your art and build a following! Classes open to the public, limited space, enroll today for a great 2013! Paint realistic flowers with oils, build up glowing layers and intense colors. Learn tips on how to quick-start a painting. This is a solvent-free class! The best part? I’ve decided to integrate this class in my 1 week watercolor workshops! If Interested in booking a workshop, you can see the details on my Etsy shop and contact me here with any questions! Welcome to my 1st Pinterest Contest! I’m just as excited as you are to share my art and one lucky winner will have the pleasure of winning an 11×14″ One of a kind Giclee on Canvas of “Respect”, the original is an oil painting on Gessobord and measures 16×20″. If interested in purchasing the original let me know! Play on you pinners and keep on sharing, the more you share, the more chances of winning! Don’t forget to visit me on Facebook, my goal is to reach or better yet exceed 400 fans, thank you! Note: Click on image to see up close and the say awww! 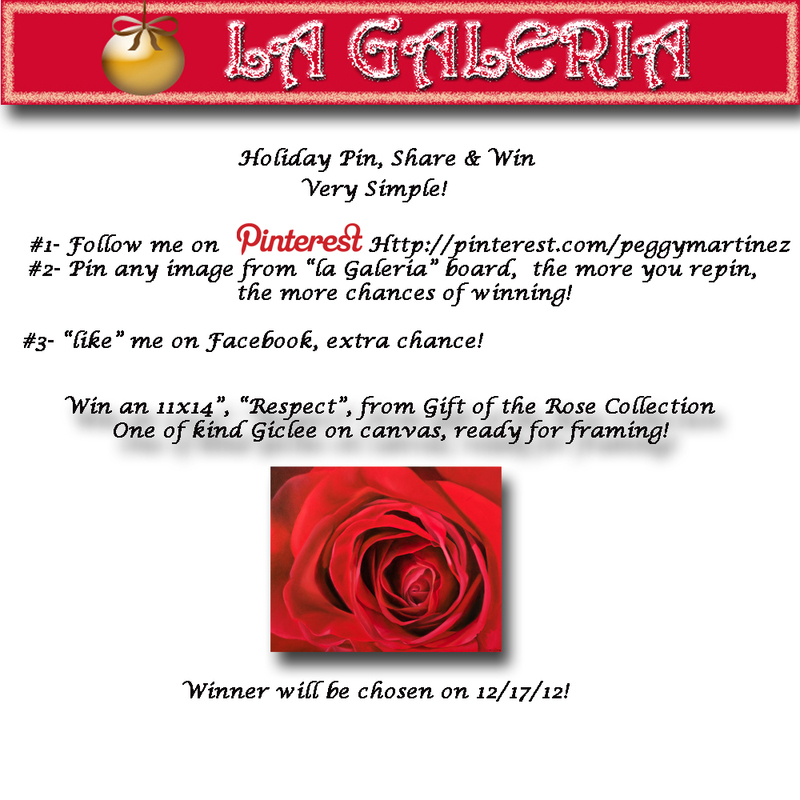 The more you share images from my “La Galeria” AND “like” me on Facebook the more chances of winning! Love to dance? 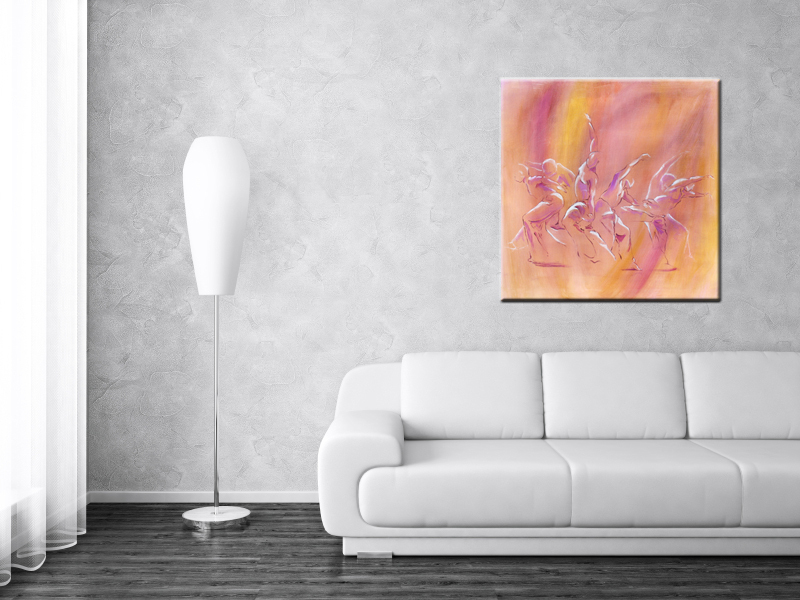 Don’t miss out on all dance related art 25% at my online shop “La Galeria” on Etsy! Check out my most popular item “Ballerina Slippers” in a black frame, ready to hang! 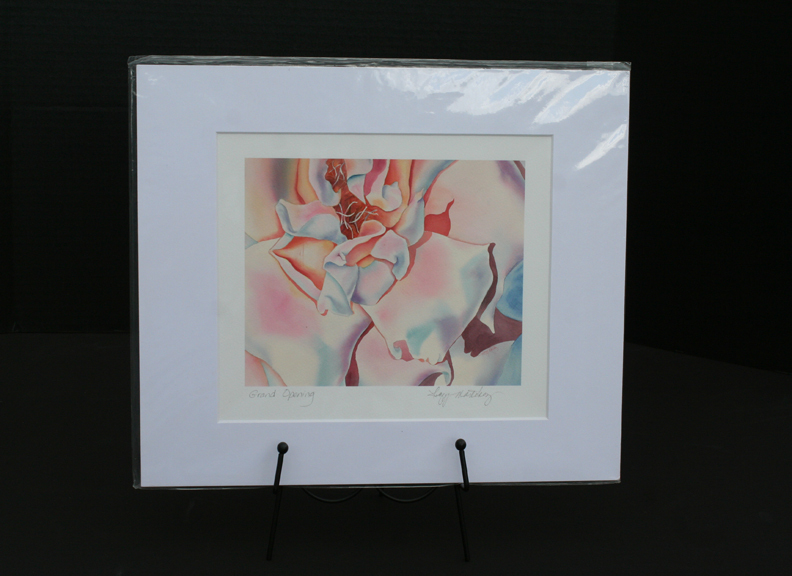 Could this beautiful art be yours? 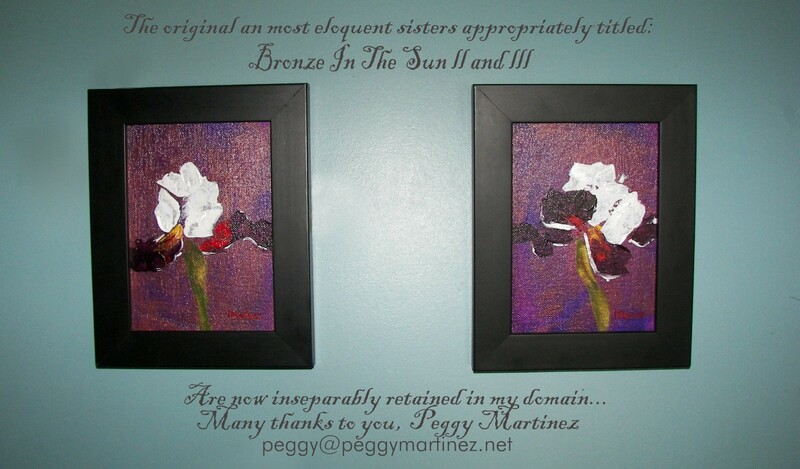 Enjoy a 30% discount and have an opportunity to be part of my art exhibit! 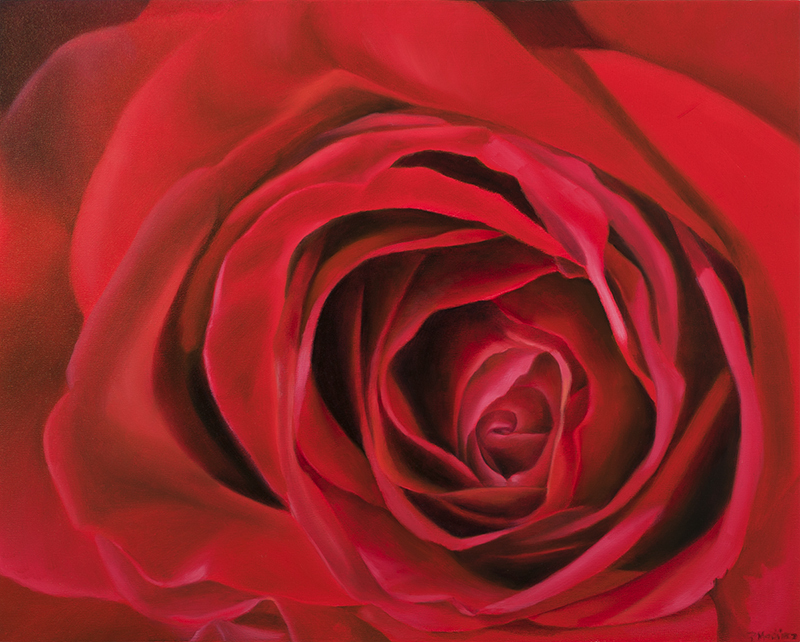 “Gift of the Rose” is an art exhibit dedicated in memory of my sister who suffered from asthma. The exhibit is about the language in colors of roses, roses are for love, pink is for gratitude and you can find more about the history and meanings related to the colors of roses here. Submit a story or poem about the colors in roses, the meanings or any roses related story or poem and receive 30% discount off any item from my Etsy shop “La Galeria”! To receive a coupon code towards any purchase at “La Galeria”, first submit your story or poem and I will send you a special coupon code to use at checkout! Read about the loss of parents or the story of a slave named Rose and the underground railroad. 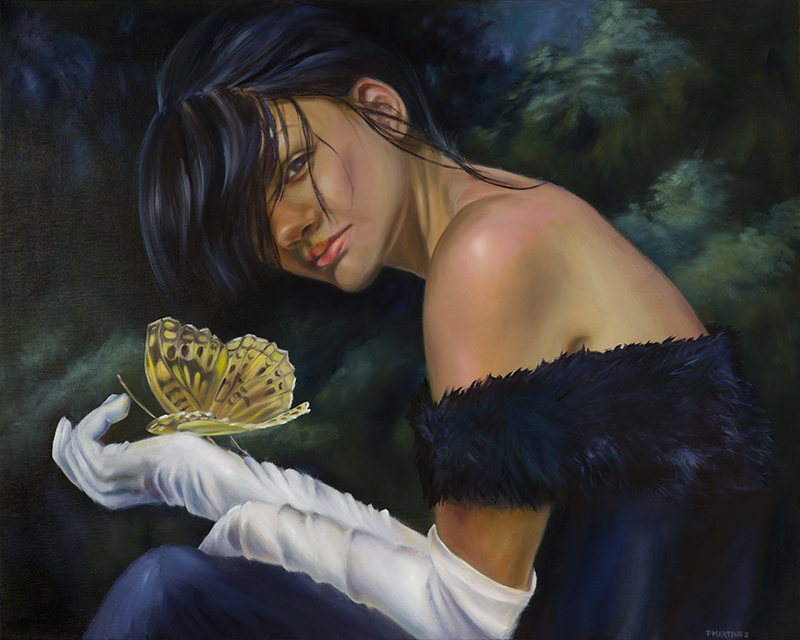 One of the paintings will be appearing in the May issue of “American Art Collector”, the proceeds from the painting “Tenderness” will go to the Golisano Children’s Asthma Fund. Submit your story or poem and that’s it, you’ll be part of an art exhibit and enjoy great impeccable art! My goal is to collect the stories and poems along with my artwork and publish a book where the proceeds will go the Golisano Children’s Hospital to further benefit the Pediatric Asthma Support. This is only possible if you can help, help a child breathe easier! $35 less 30% discount ! $54.95 less 30% discount ! 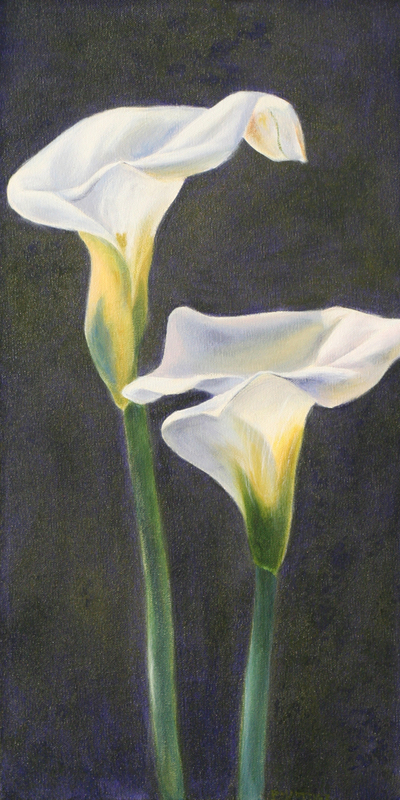 or an original acrylic of a stunning White Calla! Imagine at $99.95 less 30% discount!